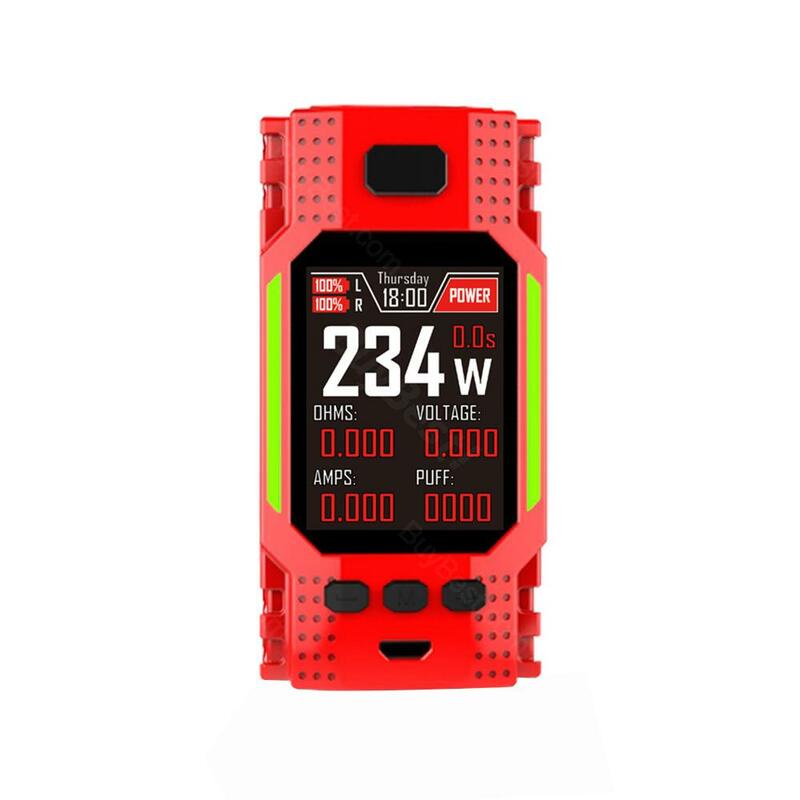 Hugo Vapor Ranger GT234 BOX Mod, which is powered by dual 18650 batteries to fire up to 234W, comes with 2-inch TFT color screen to clearly show status of vape to make operation more easy. In addition, the unique appearance design is attractive and advanced MCU will be no doubt to ensure high performance. 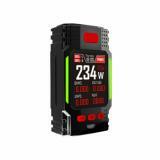 HUGO VAPOR Ranger GT234 BOX Mod, which is powered by dual 18650 batteries to fire up to 234W, comes with 2-inch TFT color screen to clearly show status of vape to make operation more easy. In addition, the unique appearance design is attractive and advanced MCU will be no doubt to ensure high performance. 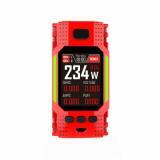 What's more, 2A quick charge can effectively save your time. Just get this mod with ergonomic design to enjoy vaping. 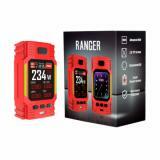 • Three-month warranty for Ranger Mod. 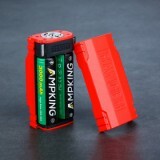 • Quick link: 18650 20A Li-ion Battery. Ranger GT234. The main material for the rectangular case was chosen zinc alloy. The uniqueness of the design was given due to additional edges and perforations. The landing site was placed on a hill and equipped with special channels to protect it from sticking to the atomizer. In the center of the front side, a large color display was installed, on the sides it was supplemented with two backlight bars. Above the fire button located. The bottom of the panel provided three control buttons and USB-port. 234W Hugo Vapor Ranger GT234 BOX Mod is an angular box mod, presenting a visually striking futuristic design, an advanced GT234 M4 MCU chipset, and an extensive temperature control suite.